Social work and social care continue to face an unprecedented period of challenge and uncertainty, requiring the development of leadership capabilities at every level of the workforce as well as in the community. 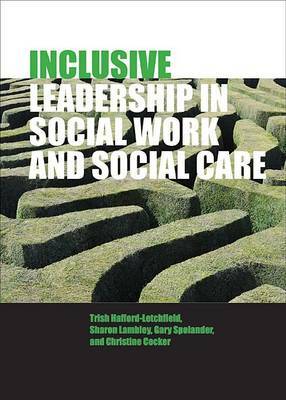 This critical and reflexive book looks closely at the pivotal but demanding role that leadership and management play in promoting social work and social care. It focuses particularly on the value that is potentially created when the human relationships between people delivering and people using public services are effective, and the conditions are present to nourish confidence, inspire self-esteem, unlock potential and erode inequality. Aimed at new, aspiring and experienced managers, and senior practitioners, it draws on a range of disciplines not typically found in social work and social care and encourages readers to broaden their examination of leadership in areas such as the design of organisations, the role of service users in leadership practice and the phenomena of dignity within the context of organisational culture and dignity.